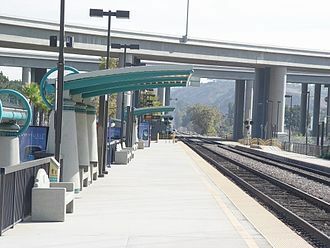 Mira Mesa is one of San Diego's largest communities with a great location between the I-15 and I-805 freeways, south of Rancho Penasquitos, and north of Miramar. Schools to this neighborhood are part of the San Diego Unified School District, and many have won awards. Mira Mesa is also known for its abundance of various businesses, of employers, restaurants, retail shops, and fun family possibilities. Mira Mesa is also known for its number of annual community-wide events celebrating holidays and various unique events to the community. With Mira Mesa's great location to nearby freeways, you are only about a 20-30 minute drive to San Diego's beaches, San Diego Downtown, San Diego Zoo and more!